Theatre Kavanah, Burlington's Jewish theater company, brings an unusual day of live performances to the area on March 23 at Main Street Landing. "It's kind of like Jewish theater meets 'American Idol,'" says founder and co-director Wendi Stein. It also happens to be a semifinals event of the New Jersey/New York City-based Jewish Plays Project s annual playwriting contest. During the two-hour event, attendees will be treated to staged readings of 20-minute excerpts from three plays submitted from around the world and directed by JPP's executive director David Winitsky. Talented Vermont actors — including Karen Lefkoe, Paul Ugalde and many others — will perform the readings, and attendees will vote on a winner. The event (which has been dubbed "the Maple Edition") will also have food, trivia and live music by Brass Balagan. The winning play from the Maple Edition will go on to compete at a final event in Brooklyn against the winners from JPP's three other semifinals contests, which have already been held in Chicago, New Jersey and Connecticut. How did Burlington stake out a place in the national Jewish theater scene? (Yes, that exists, even in addition to Broadway.) In large part, it's thanks to Stein, who was a community panelist for JPP's playwriting competition last year. She liked the plays she judged so much that she went to New York City to see some of them performed, and met the organizers of JPP in person. "Just hooking up with them was a wonderful partnership," she says. When this year's contest rolled around, Stein and Theatre Kavanah were asked to host. Theatre Kavanah was launched in 2012 with the goal of staging plays that reflected the modern Jewish experience. And the Jewish community, the Burlington theater community and audiences in general responded enthusiastically. "It was an idea that had been percolating for some time," remembers Stein. The company has since performed a number of well-attended, fully produced shows in Burlington. The Maple Edition is its latest undertaking, and the hope is to draw an audience from around the state. Don't shy away from attending if you've never been to a bar mitzvah, or you can't pronounce — or define — the word yarmulke. Theatre Kavanah's motto may be "Staging the Jewish Experience," but Stein emphasizes that the bottom line is to produce satisfying and entertaining theater for all audiences. "These are stories, and good ones," she says of the plays to be performed at the Maple Edition. "They have a greater resonance, and not just for anyone who's Jewish. There might be a familiarity, there might be a touchstone [for Jewish audiences], but it’s just a lens ...The bottom line is that it'll be a blast." 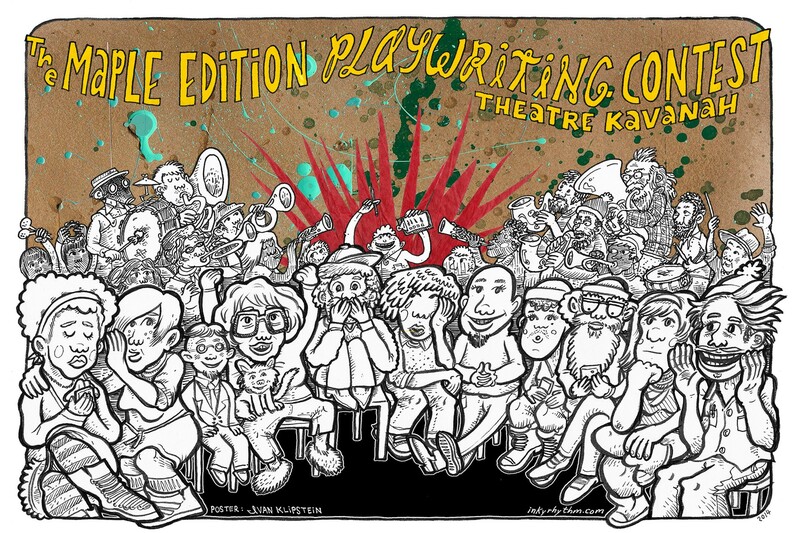 The JPP Playwriting Contest: Maple Edition is Sunday, March 23, 2 p.m., at Main Street Landing in Burlington.